- 8/8 you will receive boosting of 8 dungeons in Mythic mode difficulty in BFA (Atal'Dazar, Freehold, Shrine of the Storm, The MOTHERLODE! !, Temple of Sethraliss, Tol Dagor, The Underrot, Waycrest Manor). - 10/10 you will receive boosting of 10 dungeons in Mythic mode difficulty in BFA (Atal'Dazar, Freehold, Shrine of the Storm, The MOTHERLODE! !, Temple of Sethraliss, Tol Dagor, The Underrot, Waycrest Manor, Siege of Boralus, King’s Rest). Run of mythic dungeons (0+) with all loot 340+ appropriate for your class and spec. Excepted for the cases when the item dropped crosses something that another member of your party can wear and the item he is wearing is worse than the dropped one. In that case he just won’t be able to pass it (that’s the game mechanics). Term of completion: 3-6 hours from the date of payment and giving us an access to your account (if you don't choose option "self play"). Your Character shouldn't have any BFA dungeons mythic mode saves on current raid's week. For 10/10 Mythic Dungeons Boost you need to have access to the Siege of Boralus and King’s Rest. WOW EU (default) and WOW US (check in options). I play on EU-English, German, France, Spain, Russian, Italy servers. I play on US servers. 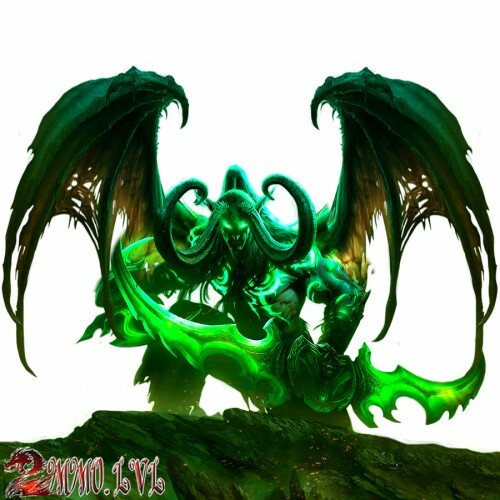 Trial of Valor Mythic includes: Killing 3 bosses in mythic difficulty level.You will recei..
Service Emerald Nightmare Mythic includes: Killing 7 bosses in mythic difficulty level.Pilote..
Level boostTerm of completion Leveling 20-120 Lvl - 10 days from the date of payment. Description of..
Service Nighthold Boost Mythic includes: Killing 10 bosses in Mythic difficulty.Piloted mode ..
Service Tomb of Sargeras Mythic Boost: Killing 8/9 in Mythic difficulty level with 20 ppl..
Service Tomb of sargeras Heroic Boost Personal loot includes: Killing 9 bosses in Heroic diff.. If you order BFA ItemSet 360-400 ilvl you will get PVE BFA ItemSet for your class and spec whic..
Service Antorus, the Burning Throne Heroic Boost Personal loot includes: Killing 11 bosses in..
Service Antorus, the Burning Throne Mythic includes: Killing 11 bosses in Mythic difficulty lev.. Term of completion - 1-3 weeks from the date of payment.Description of service "Allied Races -..
Service Uldir Heroic Boost Personal loot includes: Killing 8 bosses in Heroic difficulty leve..
Service G'huun Heroic includes: Killing G'huun in Heroic difficulty with personal loot.Requirem..
Level boostTerm of completion - 1-3 days from the date of payment.Description of options:Fast - Term..
Service Uldir Mythic Boost Personal loot includes: Piloted mode - our driver plays by your Char..
Service G'huun Mythic includes: Killing G'huun in Mythic difficulty with personal loot.Requirem..
Service Battle of Dazar'alor Normal Boost Personal loot includes: Killing 9 bosses in No..
Service Battle of Dazar'alor Heroic Boost Personal loot includes: Killing 9 bosses in Heroic ..
Service Lady Jaina Proudmoore Normal includes: Killing Lady Jaina Proudmoore in Normal difficul..
Service Lady Jaina Proudmoore Heroic includes: Killing Lady Jaina Proudmoore in Heroic dif.. Term of completion - 2-4 weeks.Service Battle of Dazar'alor Heroic Full Gear includes:Killing 9 boss.. Term of completion - 2-4 weeks.Service Battle of Dazar'alor Normal Full Gear includes:Killing 9 boss..
Level boostTerm of completion - 4-8 hours from the date of payment.Description of options:Fast - Ter..
Service Battle of Dazar'alor Mythic Boost Personal loot includes: Piloted mode - our driver pla..
Service Lady Jaina Proudmoore Mythic includes: Killing Lady Jaina Proudmoore in Mythic dif..
Service Glacial Tidestorm includes: Killing Lady Jaina Proudmoore in Mythic difficulty wit..
We will farm single items: the shoulders from Conclave of the Chosen, Heroic and the chest from King..
We will farm single items: 4 x Long Regal Sinew, 15 x Spirit of the Bested.Requirements:120 level.WO..
We will farm single items: 1 x Sweete's Diamond-Studded Spyglass, 1 x Unrefined Azerite Geode, 50 x .. Term of completion - 2-4 weeks.Service Battle of Dazar'alor Mythic Full Gear includes:You will recei.. Term of completion - 1-3 weeks from the date of payment.Description of service "Zandalari Trol.. Term of completion - 1-3 weeks from the date of payment.Description of service "Kul Tiran ..
Service Crucible of Storms Heroic Boost Personal loot includes: Killing 2 bosses in Heroic di..
Service Crucible of Storms Normal Boost Personal loot includes: Killing 2 bosses in Normal di..
We will farm Sinister Gladiator Horde Leather Set in selfplay mode on Arena 3v3s. Req..